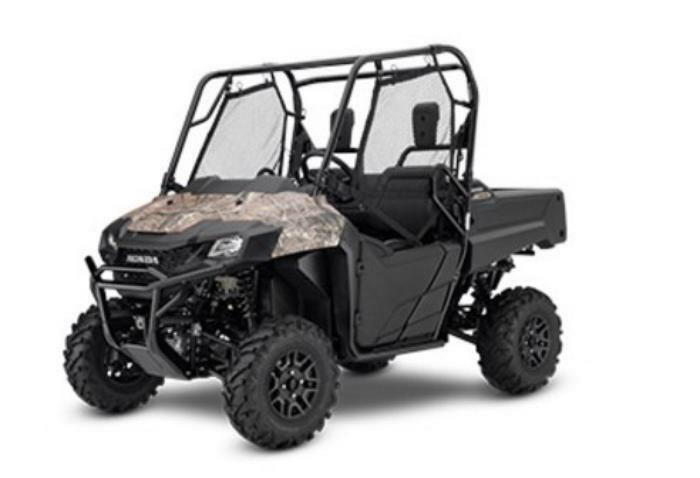 American Honda Motor Company of Torrance, Calif., is recalling about 2,200 recreational off-highway vehicles (ROVs). The front passenger seat belt buckle can fail due to a manufacturing defect, posing a risk of injury. This recall involves model year 2017 Honda Pioneer 700 side-by-side recreational off-highway vehicles. The ROVs are motorized with a steering wheel, a gas pedal, a brake pedal, bucket or bench seats, seat belts and an occupant protection structure. The recalled ROVs were sold in two-seat and four-seat models in blue, red, silver or camouflage colors. “HONDA” is printed on the front grill and rear tailgate. “Pioneer 700” is printed on the sides of the vehicle. The model and serial numbers are printed on a certification label located at the top rear of the left front wheel well. The ROVs, manufactured in the U.S., were sold at authorized Honda Powersports dealers nationwide from December 2016, through April 2017, for between $10,500 and $13,500. Consumers should immediately stop using the recalled ROVs and contact their local authorized Honda Powersports dealer to schedule an appointment for a free inspection and repair. Honda is contacting all known purchasers directly. Consumers may contact American Honda toll-free at 866-784-1870 from 8:30 a.m. to 4:30 p.m. (PT) Monday through Friday or online at www.powersports.honda.com and click on “Recall Information” at the bottom of the page for more information.